The Joyful Hermit shops some at Big Lots. One reason is that it is along my route from Cathedral to hermitage. It is simple to navigate the parking lot and store. And, I noticed that some of the food items are less expensive than at the grocery, depending upon what Big Lots has in stock. When I shop I focus on prices, ounces, and nutrition facts. I detach from set ways of perceiving food tastes, preparation, and appearance. I remain open. Detachment is a spiritual means of dying to self. Sometimes called holy indifference, it is not a matter of disliking things of the created world, but is a matter of not being attached to or controlled by the temporal world. More, it is a love of the spiritual–of God, of truth, beauty and goodness. The Joyful Hermit is fond of asking when tempted to be stuck in things worldly: “Is this [thing, problem] going to matter on my deathbed?” A soul freed from being possessed by earthly possessions and desires is possessed by God and its wealth is God Himself. Concerning what I eat, I have learned to love eating whatever food is available, healthy, and on sale. I am reminded to be grateful for any kind of food and thankful to be alive and to eat it. It also exposes me to foods I otherwise might never have befriended. When I food shop at Big Lots, I target first the clearance food section. Then I tour the other food aisles and familiarize myself with the layout. It was on one such jaunt that I noticed MTR brand Indian cuisine. There were boxed varieties for $2 each. On sale at the grocery, the best price I’ve seen is $2.96 per box. Three servings are in each box. I purchased ten. That adds up to $20 and is the amount needed to benefit by using my Big Lots Reward Card. 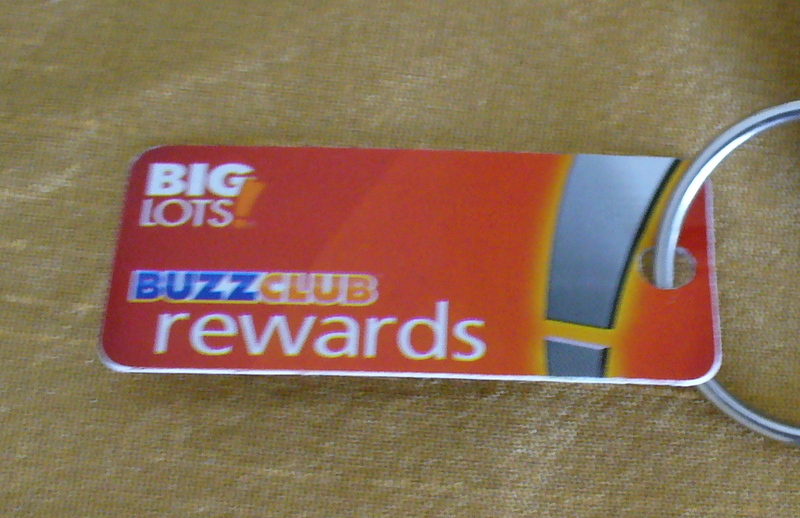 I do not have many shopping cards, but it makes sense to shop certain stores and utilize discounts. Each time I spend $20 (and I make sure I do not spend $1 or so over), the Rewards card registers the sale; after 10 sales I get 20% off the next purchase. I do not buy what I do not need, eat or gift. But with alert shopping, I saved 33% on the Indian food already, compared to the grocery price. Indian food is tremendously healthy. The turmeric in it alone is good for balancing the brain. 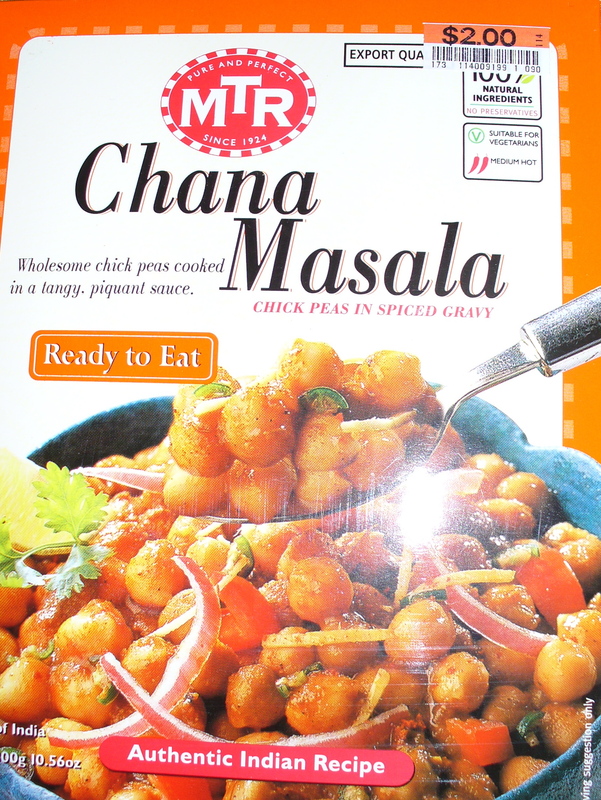 In one serving of Chana Masala, for example, I get 6 grams of protein, no trans fats, and only 4 grams of saturated fat. 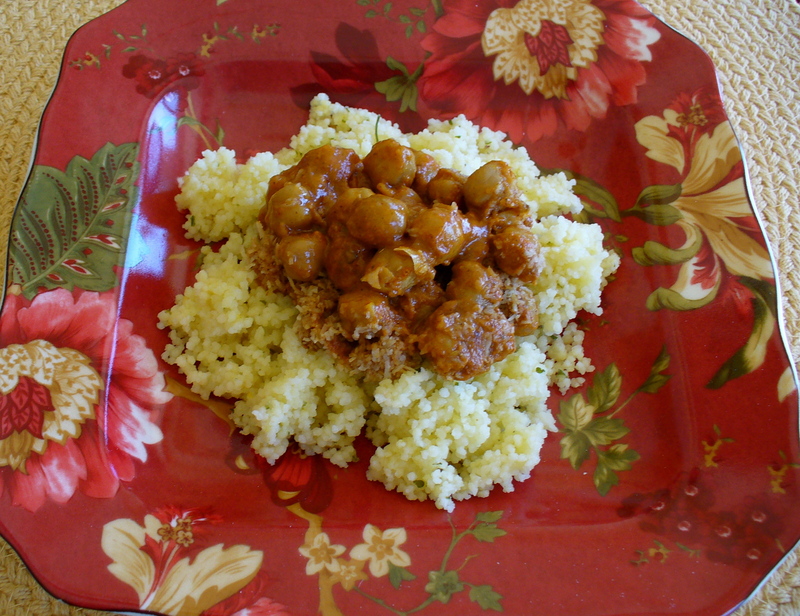 When served with brown rice or other accompaniments, the protein can double or more. Chana Masala is mostly chick peas, high in fiber and a type of bean; add rice, wheat and cheese and we have a high-level, interactive, protein combination. Another plus is easy preparation. 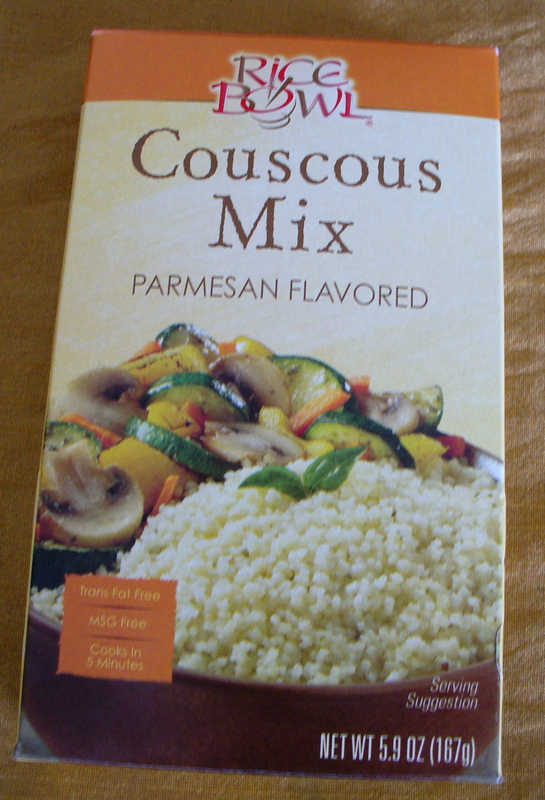 Open the pouch, place in bowl, cover, microwave, eat with rice, couscous, bread, etc. I add cooked vegetables or dollop of sour cream. Still hungry? Eat some fruit. I enjoy a clementine with this particular dish. Include the wheat or basmati rice (bag of brown rice for $2 at Big Lots, numerous servings) and a clementine (purchased on sale in bulk at grocery), or with couscous (99-cent clearance at ALDI; 7 g protein per 1 c. serving, three servings per box) and broccoli. This averages $1-1.35 each for three meals. Outstanding Cheapeat–plus enjoy the wealth of color, spice and nutrition.